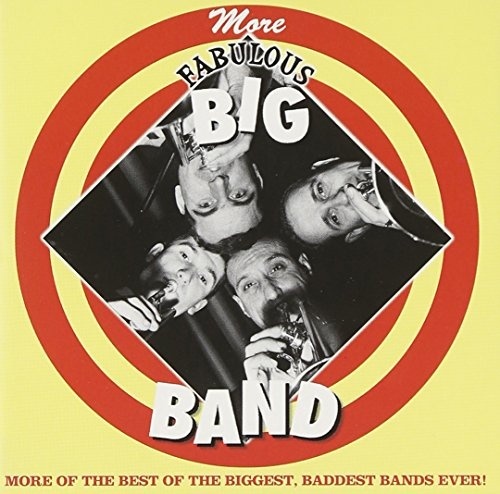 As an unassuming compilation of big-band standards, this second volume (which is virtually interchangeable with its predecessor, as well as the parallel Fabulous Swing titles) is a reasonable starter volume for anyone who enjoys the ten years of music represented on these 16 tracks, but who doesn't know a lot about it. The absence of notes, or any other information, apart from each track's recording date, however, ensures that no one will learn much beyond the music. But the music does speak volumes, with freshly remastered versions of "Dipsy Doodle" (Tommy Dorsey & His Orchestra), "Frenesi" (Artie Shaw & His Orchestra, "Stompin' at the Savoy" (Benny Goodman & His Orchestra), "Anvil Chorus" (Glenn Miller & His Orchestra) "The Right Idea" (Charlie Barnet), "Rockin' Rollers' Jubilee" (Erskine Hawkins), "Stardust" (Artie Shaw), "I Can't Get Started" (Bunny Berigan), "Just a Minute" (Count Basie) and "Blue Cellophane" (Duke Ellington), among other popular pieces of the period. The repertory is weighted toward midtempo tunes (all but one cut in the 1930s or early-middle 1940s), but all of it is well played, even if some of the remasterings here are distracting. A few are not as impressive as those on the earlier volumes in this series -- there are traces of surface noise on certain tracks, and there is a very slight but noticeable roughness in some of the louder passages on a few of them, which could lead one to ask precisely what shape the RCA-Victor masters on these songs are in. At under $10 retail, however, it is a fair bargain, and one that gives the listener a momentary overview of an era in which virtuosity and musical invention were rewarded with a huge popular audience -- Bunny Berigan's trumpet solo on "I Can't Get Started" and Artie Shaw's glorious elegant clarinet solo, set against the strings and the band proper on "Frenesi," are worth the price of the disc by themselves, and "Frenesi" sounds as though it was recorded last year, not 60 years ago.